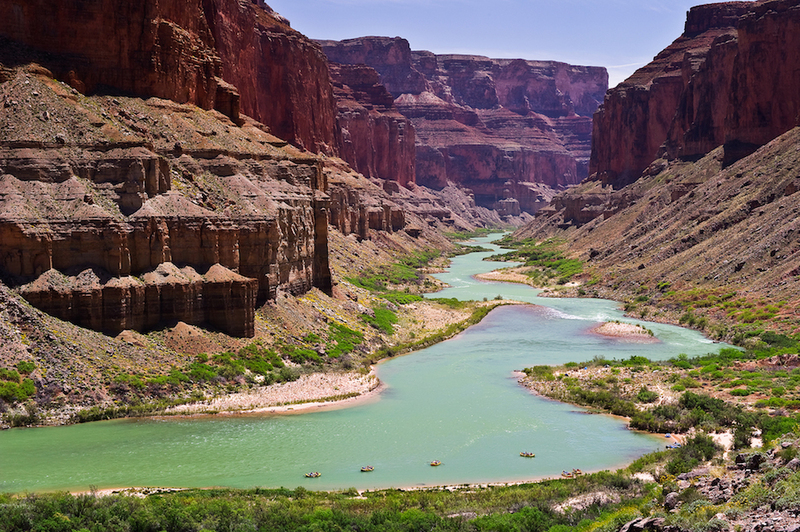 The Colorado River forms high in the Rocky Mountains and runs through the deserts of the American Southwest. It drains over 243,000 square miles, an area roughly the size of France. 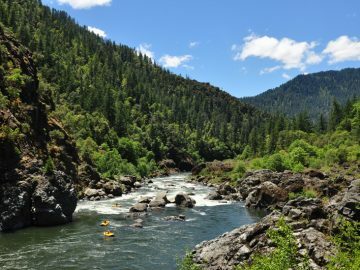 Along the way, the river shapes some of the West’s most iconic landscapes, including the Grand Canyon, but when it completes its journey at the Gulf of Mexico, there is hardly any water left. 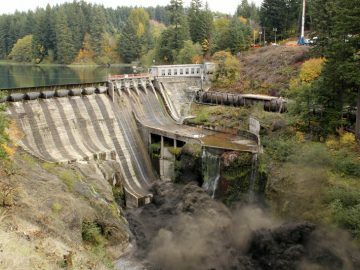 The river’s demand exceeding supply is nothing new, but it’s about to get worse. This would not surprise Colorado River explorer John Wesley Powell. In the proceeding years, time proved Powell right. The Army Corps of Engineers built the two largest dams in the U.S. on the Colorado River. They completed Hoover Dam which formed Lake Mead in 1936 to the south of Grand Canyon National Park, and in 1963 they completed Glen Canyon Dam which formed Lake Powell just to the north. Once one of nature’s mightiest forces, strong enough to carve the Grand Canyon, the Colorado was turned into one of the world’s largest water catchment experiments. 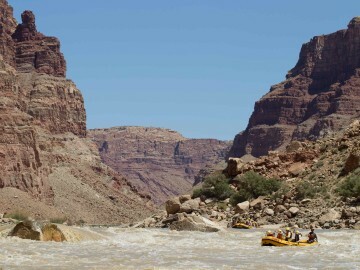 As author Marc Reisner points out, “the Colorado River is the most legislated, most debated, and most litigated river in the entire world.” The conservation group American Rivers rated the Colorado River its #1 Most Endangered River in 2015. 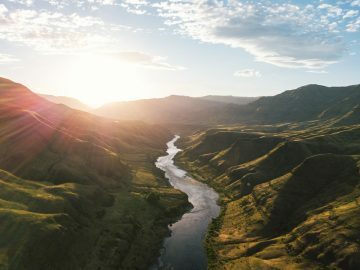 Today, the Colorado River Basin supplies water for about 40 million people and four million acres of farmland across California, Arizona, Colorado, New Mexico, Nevada, Utah, and Wyoming. Most of this region is a true desert that the Colorado River has brought to life. The problem is that this age of population growth occurred during a very wet century by the Colorado River’s standards. Since 2004, a massive drought has impacted the region, and Lake Mead and Lake Powell are not meeting their intended storage capacity. It’s not even close. Both reservoirs fill less than 50 percent of their capacity, and climatology models predict that this drought is not a passing trend, but a sign that a new era has begun. 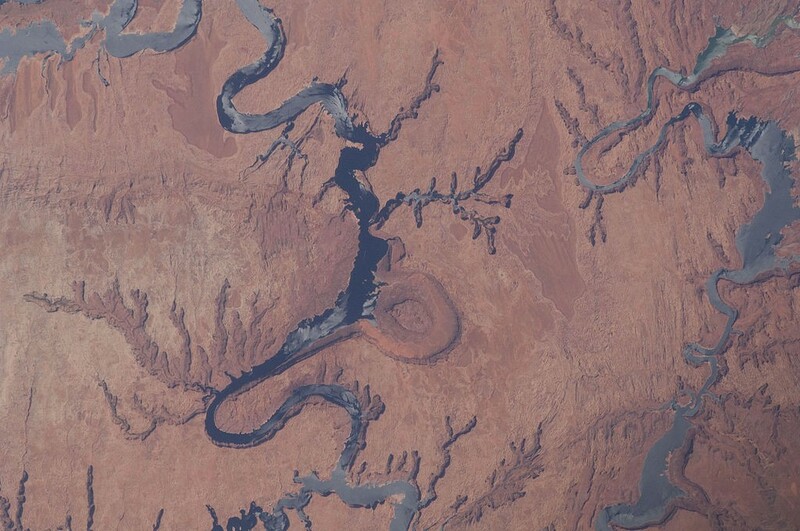 The Bureau of Reclamation has concluded that “climate change will reduce water flow in the Colorado River Basin by approximately 9% by 2050.” In the later half of the century, NASA scientists predict a megadrought, something akin to a slow-motion natural disaster. That’s bad news. The question is what do we do about it? 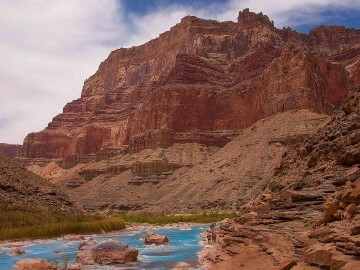 One solution is to update the Colorado River’s water storage system. We currently have two half-empty reservoirs on the same river. Both are susceptible to surface area evaporation and groundwater seepage. The plan, proposed by the Glen Canyon Institute, is called Fill Mead First. 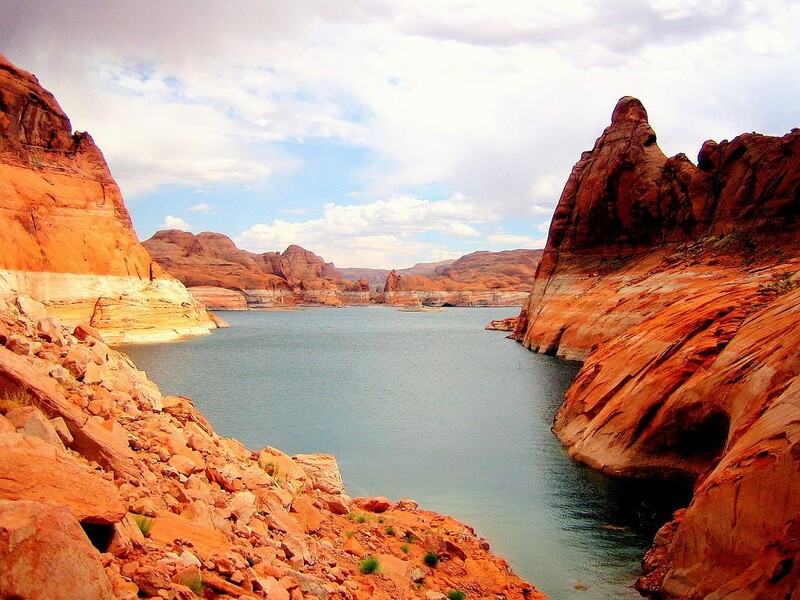 Through a series of controlled dam releases, the water stored in Lake Powell would be transferred to Lake Mead. Glen Canyon Dam would be left in place to serve as a backup. The result would restore the ecological health in the upper portion of the Colorado River, provide better water storage, and reveal the incredible landscape of Glen Canyon, now submerged beneath Lake Powell. It’s a bold, visionary plan for the future, a plan that would certainly win the approval of Colorado River explorer, John Wesley Powell. The Fill Lake Mead First Project is still in its early stages. To learn more and stay up-to-date, visit the Glen Canyon Institute.